Adidas and Nike are now the undisputed kings of football merchandise, kits and boots. However, another German company, Puma, used to be one of the big dogs in the football apparel market and a constant thorn in the side of their local rivals Adidas. While the brand with three stripes traditionally marketed themselves around the image of strength through teamwork, namely with their sponsorship of the German national team, Puma went after the big individual stars like Pele, Diego Maradona and Johan Cruyff. 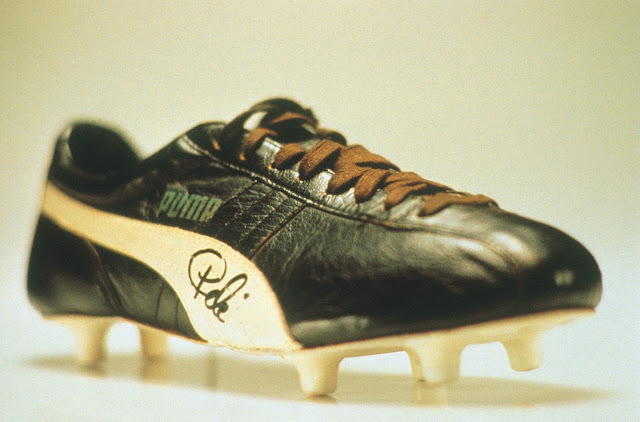 During the 1970 World Cup, it's even been alleged that Pele stopped to re-tie his boots just before kickoff, knowing that the cameras would be on him, so that his Puma's would come into focus. What isn't an allegation, but an actual fact, is that Johan Cruyff had one of the stripes taken off of his Adidas sponsored Netherlands kit before the 1974 World Cup because of his allegiance to Puma. 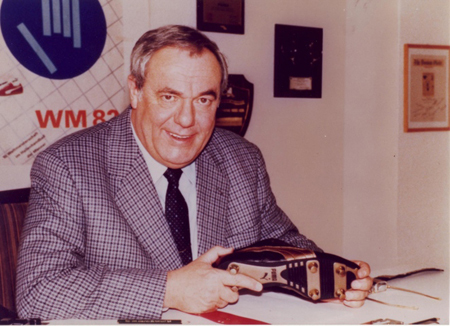 Adidas would get the last laugh though, by some distance, in this period when their president Horst Dassler formed an alliance with then FIFA President João Havelange that not only solidified the company's position as the top supplier of football apparel but it also helped modernize FIFA's marketing and lucrative sponsorship arrangements. 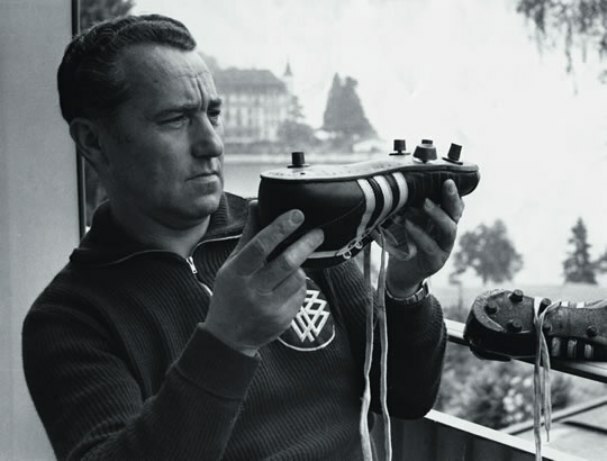 The rivalry between Adidas and Puma had it's roots in the 1920's when two brothers in Herzogenaurach, Germany named Rudolf ("Rudi") and Adolf ("Adi") Dassler started a shoe company called simply Dassler. 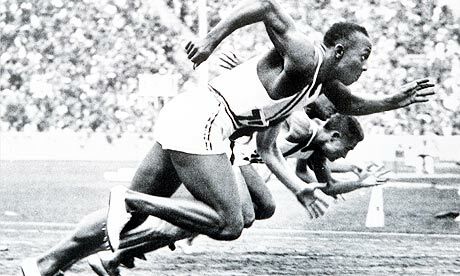 Recognizing the potential for providing footwear for athletes, Dassler started outfitting the German Olympic team in 1928 and by the notorious 1936 Games in Berlin, which were overshadowed by the Nazi regime, they had expanded to sponsoring international athletes like the four gold medal winning American track star Jesse Owens. Although both brothers were members of the Nazi Party, Rudolf was the more ardent supporter of Adolf Hitler and while Adi worked on providing boots for the Wehrmacht he would later leave the Party and this would add to the growing rift between the two. The breaking point seemed to come during an Allied bomb attack in 1943 when Adi and his wife took cover in a bomb shelter that Rudolf and his family were in. "The dirty bastards are back again," Adi said, apparently referring to the Allied war planes, but Rudi was convinced that his brother meant him and his family. Shortly after Rudi was drafted into active service, while his brother stayed at home to continue to support the war effort. After Rudi was captured by the Americans, he was suspected of being a member of the SS, which was information allegedly supplied to them by his brother Adi. With the situation resolved, Rudi left the family company behind and would never speak to his brother again for the rest of his life. Their feud spread through their home town of Herzogenaurach, as the population was split down the middle in terms of who they supported. Rudi went on to form a new shoe brand he called Puma. Meanwhile, Adi renamed his company Adidas as a derivative of Adi Dassler and the rest, as they say, is history.